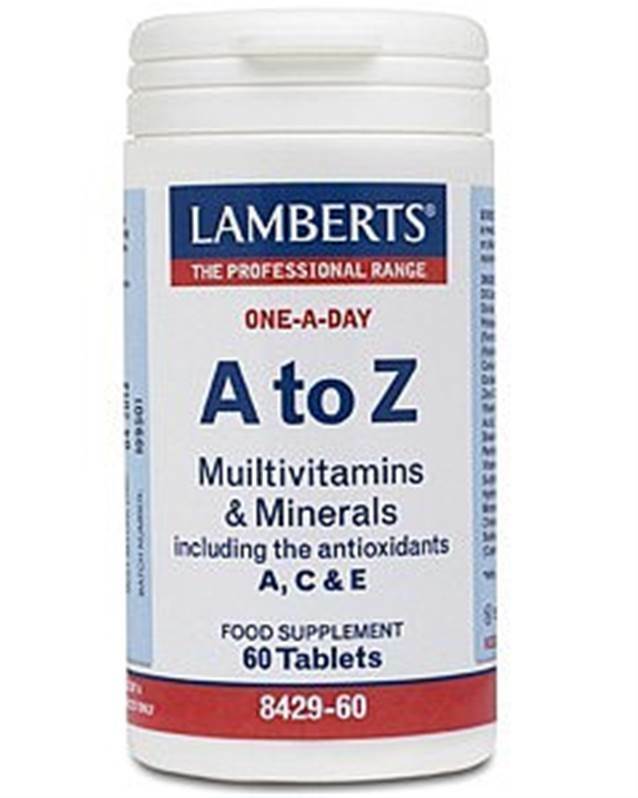 Lamberts A-Z Multi, An excellent multivitamin health supplement for those 13 years and upwards, especially those at college whose diets may be based on junk food with little fresh fruit and vegetables. Multivitamin and Mineral Health Supplement for children 13 years an upwards. Lamberts® A-Z Multi is a one-a-day formula providing all of the most important micronutrients, many at 100% RDA. It is a useful ‘maintenance’ level supplement that is suitable for those 13 years and upwards, and makes a good long term supplement for teenagers. During the teenage years, the body develops and grows dramatically and requires higher levels of energy, protein, calcium, zinc and iron, plus many other nutrients, to sustain these rapid spurts of growth. Unfortunately the teenage years are also a time when a passion for junk food can threaten the nutritional adequacy of the diet. In fact the official data for this group shows that their diets may be borderline deficient on a number of important micronutrients. With iron for example, the data shows that 9 out of 10 teenage girls have diets that fail to provide the RNI for this nutrient. DiCalcium Phosphate Cellulose Tablet Coating (Hydroxypropyl Methylcellulose Glycerin Colours: Titanium Oxide & Iron Oxides) Crosslinked Cellulose Gum Stearic Acid Magnesium Stearate Silicon dioxide. See ingredient section for ingredients listed in bold.